Miramichi River Boat Tours has explored the gems of the New Brunswick waterway for years — but this week something rather rare turned up. 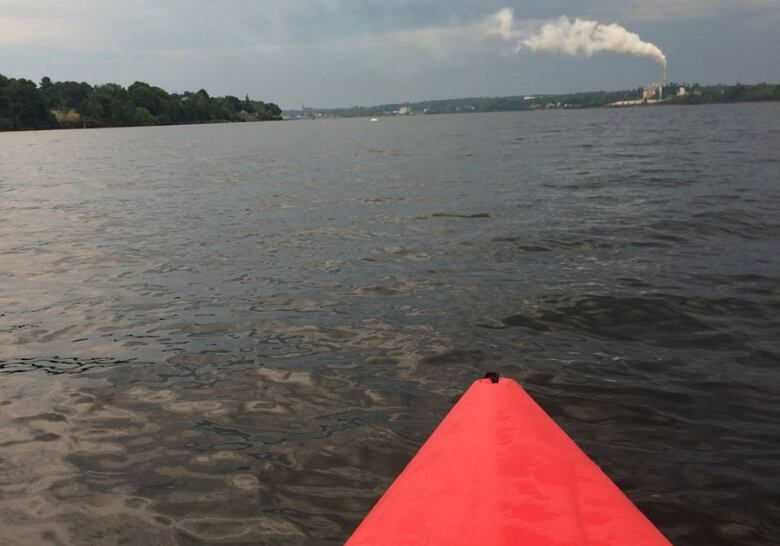 Around suppertime, Azade Haché was cleaning his tour boat at Ritchie Wharf Park in Miramichi after a day filled with thunder showers and wind, when he spotted a small beluga whale splashing in the water. "I don't know how content whales are supposed to look but it looked quite content," said Haché, who has been running his tour business for 22 years, hosting people from all around the world. "It was kind of an added feature." The white whale was only a few hundred metres away and Haché was able to marvel at it for a good 45 minutes. He said the whale was also spotted early Tuesday morning, and residents crowded along the riverbank to get a glimpse of the small mammal throughout the day. The whale could be almost as popular — if not more so — than the famous mistle thrush, a rare bird discovered in Miramichi in 2017. "People were intrigued by [the beluga whale]," Haché said. The water enthusiast is taking people out on his riverboat and hopes to see the beluga again. "We'll certainly include that in our briefing, that this is what happened yesterday," Haché said. Coincidentally, a group from Montreal called a few days ago, wanting to see whales on the river. "I said, 'You never know on the Miramichi,'" he said. "The river leads and we follow … they would've had the treat of their life if they wanted to see a beautiful whale." Although it was a sight to see, Haché admitted he is concerned for the whale's safety if it's still swimming in the river. "They say to try not to disturb them," he said. "There's a lot of effort trying to save these creatures. I certainly wouldn't want to be the one responsible for hurting them." Andrew Trites, the director of the University of B.C. 's marine mammal research unit, said the biggest danger for the whale would come from a boat, if it's driven over the animal and "cuts it up." 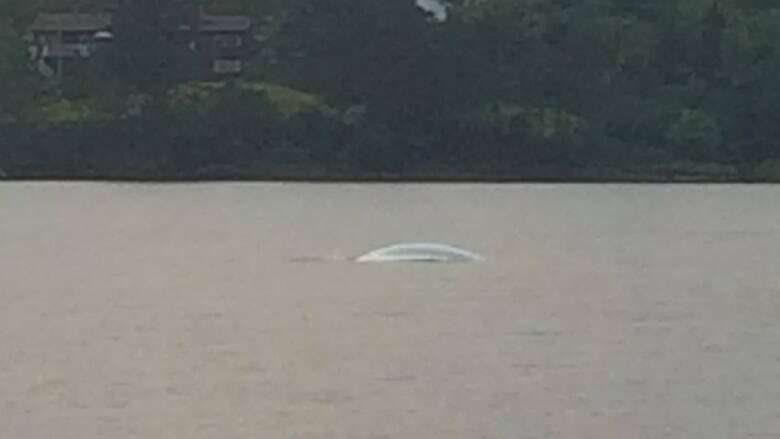 "People in the area would not be expecting to have a beluga whale in the area," he said. He said a beluga whale sighting in the Miramichi is rare. The closest beluga population is in the St. Lawrence River and then beyond Labrador, Baffin Island in Nunavut and near Greenland. But the whale could stay in Miramichi as long as there's food to eat. "Every now and then a beluga pops up in the Maritimes," Trites said. "It's never really clear, 'Why is he there? Where did he come from? ;"
He said the whale is likely a single male, because male whales tend to wander far from home and females tend to stay closer. "They could also be young animals," he said. "A little naive exploring the world … ultimately, they will go back north." He said this beluga whale could also belong to the same population as the two beluga whales spotted off the coast of Ingonish, N.S., earlier this week. 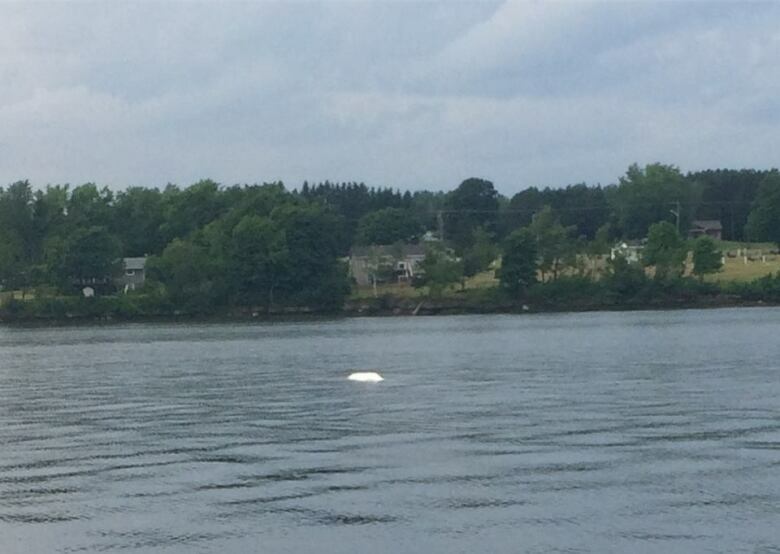 But this isn't the first time a beluga whale has wandered over to a New Brunswick river. In June 2017, a trapped beluga whale swam into the Nepisiguit River in Bathurst and had to be rescued by emergency officials and flown to Quebec, so it could join a pod in the region. The Department of Fisheries and Oceans said it has received several reports of one or possibly more beluga whales in the Miramichi River. The department has released new marine mammal regulations, including a minimum approach distance of 100 metres for most whales, dolphins and porpoises. The new regulations came into effect on Wednesday. Anyone disturbing a marine mammal, including a beluga whale, could be subject to arrest and prosecution. This isn't the first time a whale has been spotted in the Miramichi River. Haché has seen about five whales in the Miramichi River in his lifetime, but most were pilot whales. Some of those whales stayed up to a week before returning to the Gulf of St. Lawrence. 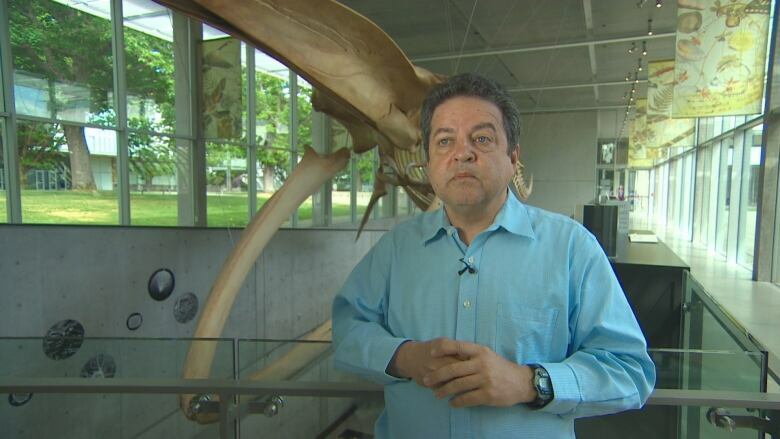 It's been seven to 10 years since a whale was discovered in the area.